With 20 year’s workforce industry experience and a background in Mechanical Engineering, Sam has managed the delivery of mission critical skill categories to some of the world’s largest and most complex infrastructure and engineering projects; supporting engineering consultancies from planning to commissioning across Marine, Utilities, Aerospace, Mass Transit, Oil & Gas and Renewable Energy. 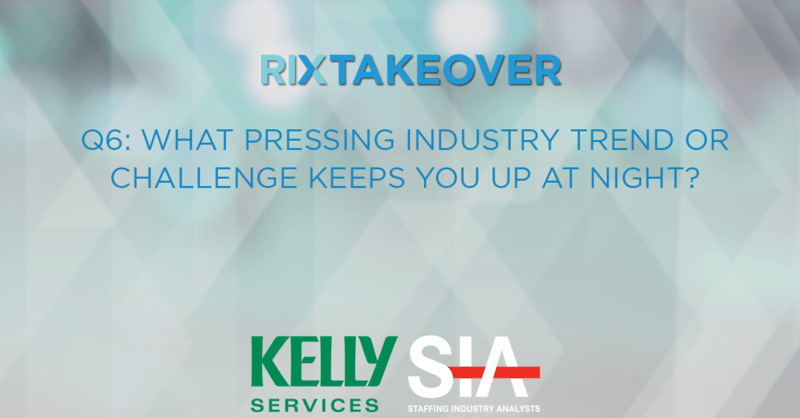 Sam is a member of the Kelly Services Global Solutions Leadership group and is responsible for the large account management of our global life sciences portfolio. 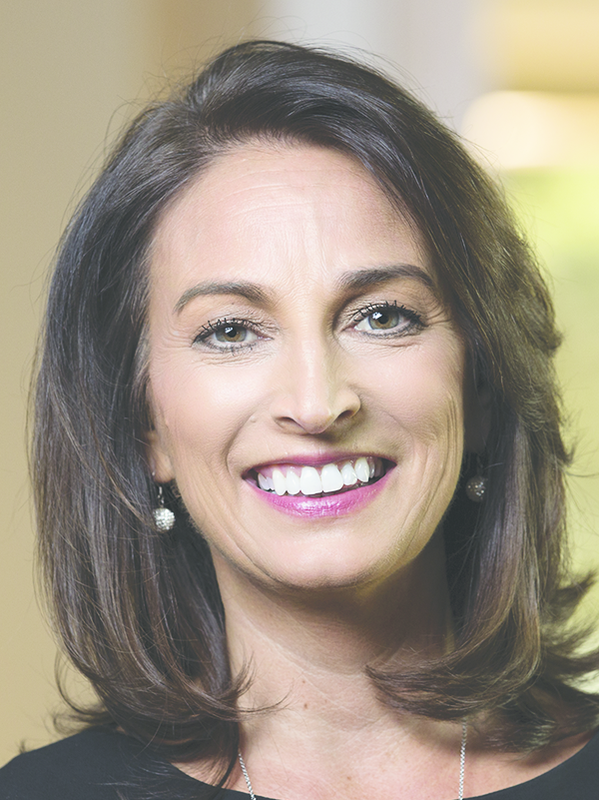 Ursula Williams was appointed Executive Vice President of Staffing Industry Analysts in 2018. In her role, Ursula bridges the various SIA departments, resulting in superior products/services for the staffing and the workforce solutions ecosystem. 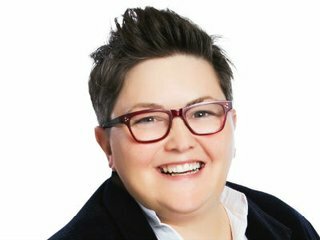 Day to day, she is responsible for global strategy and overseeing the teams responsible for Marketing, Operations, Conferences (including Registration Sales), Technology and Digital Solutions. Williams joined SIA in 2015 as SVP of Global Strategy and Marketing and has over 25 years of industry leadership experience and tenure with global organizations. Significant strides have been made to bring gender equality to the workplace as women account for roughly 47 percent of the U.S. and UK workforce. Unfortunately, they currently make up only 22 percent of board members at Fortune 1000 companies and 10.6 percent at Fortune 500 companies. These staggering numbers are not due to a lack of qualified female leaders, but rather because women face a range of obstacles in their careers that often aren’t brought to the forefront of corporate conversation. 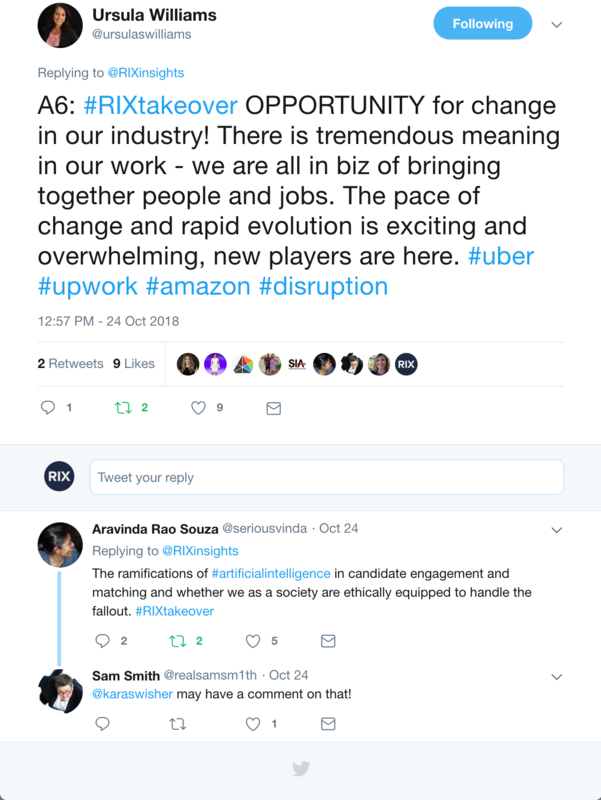 On Wednesday, October 24th, we tackled some of these issues in an inspiring and thought-provoking Twitter chat with Sam Smith, Vice President of Global Solutions and Vertical Group Leader of Life Sciences at Kelly Services and Ursula Williams, Executive Vice President at Staffing Industry Analysts. Sam and Ursula shared their perspectives on how to increase female executive representation in recruitment, highlighting how they’ve hurdled over gender stereotypes in their careers, and they offered strategies for the next generation of female leaders to follow. 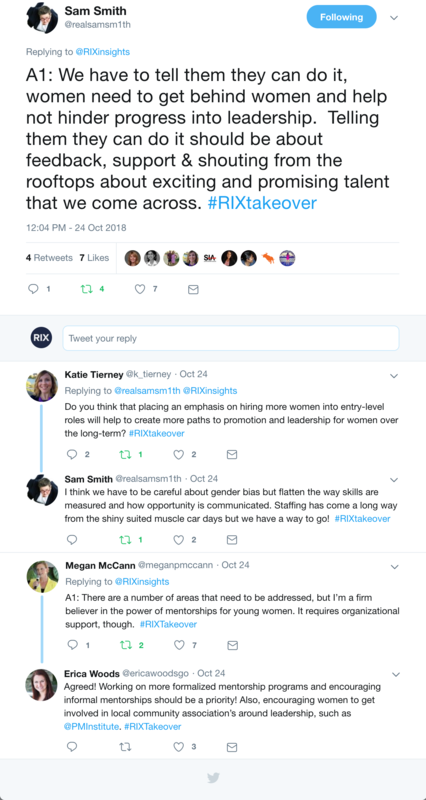 Sam opened up the chat with a fantastic response, calling on women to view each other as resources, rather than competition, to progress their careers. 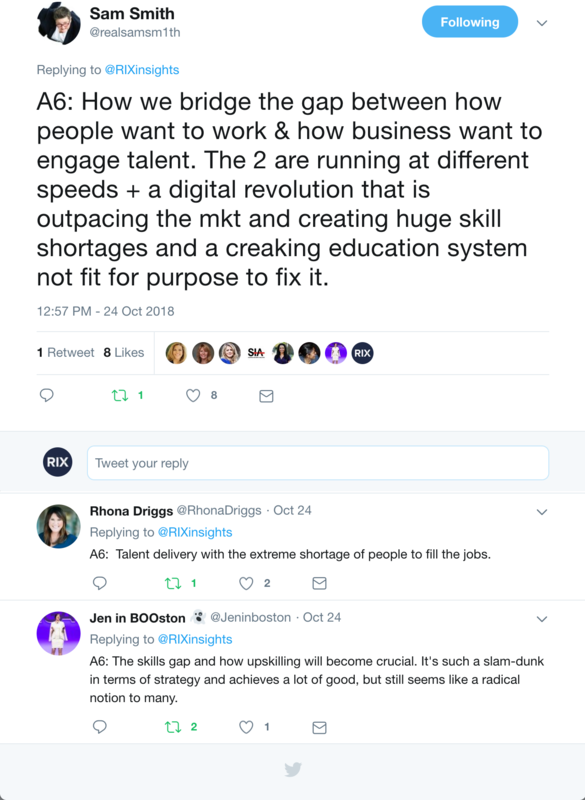 Megan McCann, Founder and CEO of McCann Partners, weighed in on the topic as well. Here’s how Ursula answered Q1. 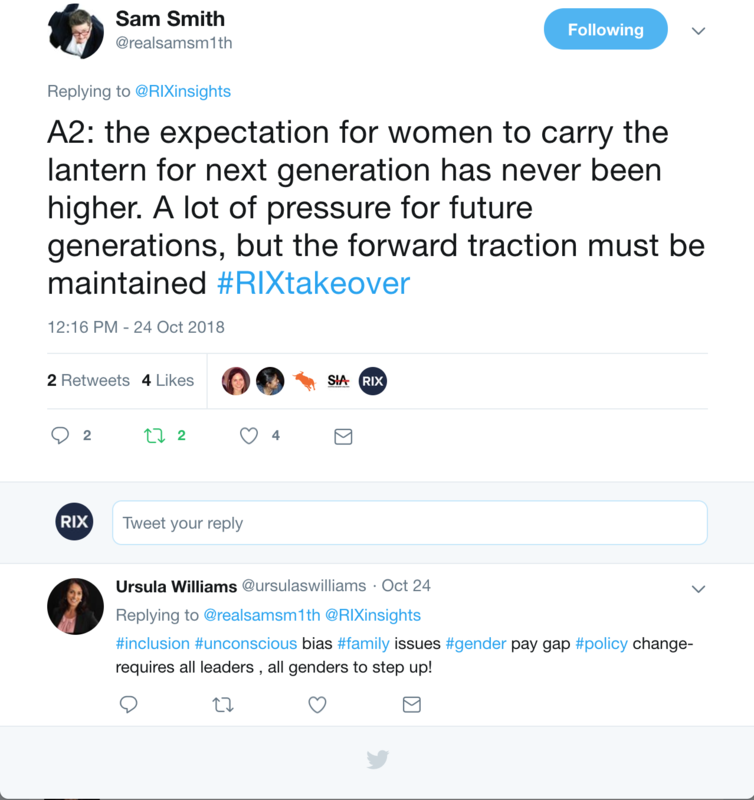 In Q2, we wanted to know what Sam and Ursula see as the biggest challenge for the next generation of women. Ursula hopes to see the number of women in CEO positions at S&P 500 companies dramatically improve. Sam explained how the bar has never been set higher for women, and it’s up to the generation of women to follow to continue to build off all the positive momentum. 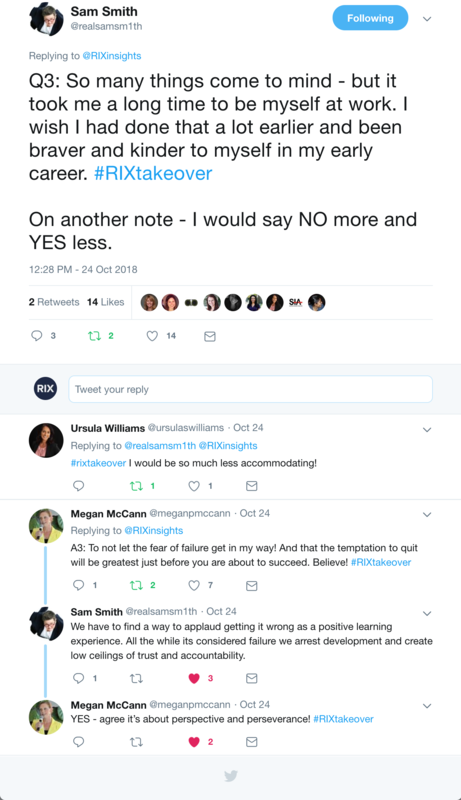 Sam’s response was predicated on inspiring others to be themselves at work and to be brave enough to stand up for themselves, rather than being a yes-woman. Here’s how Ursula and the rest of the Twitter community responded to advise for their younger self. 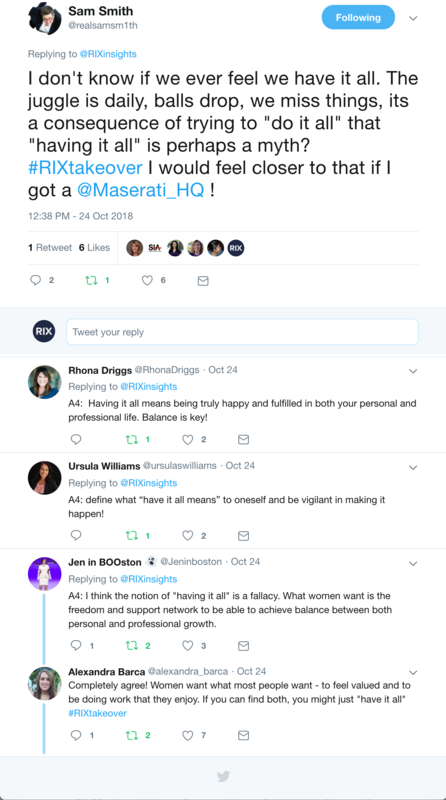 Q4 raised the discussion of what “having it all” in work/life truly means and questioned whether this possible for anyone to achieve or if “having it all” is always just a moving a target. Here’s how our Twitter community responded. 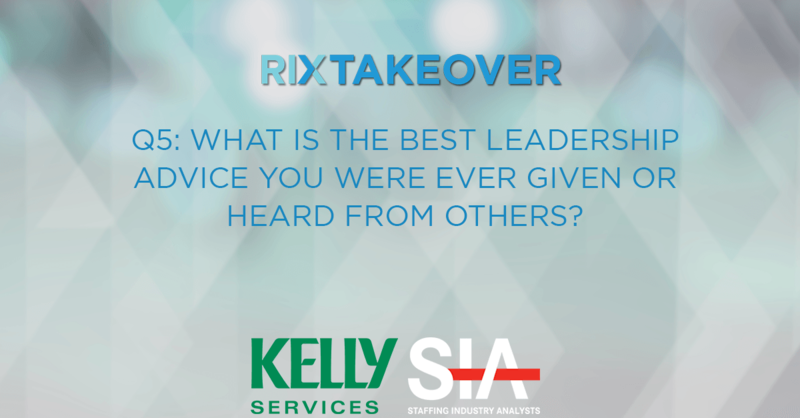 Q5 asked for the best leadership advice you have ever received, and the answers were so incredibly inspirational that we couldn’t leave any out. The overwhelming shortage of female representation in executive-level leadership roles is ubiquitous throughout the world. 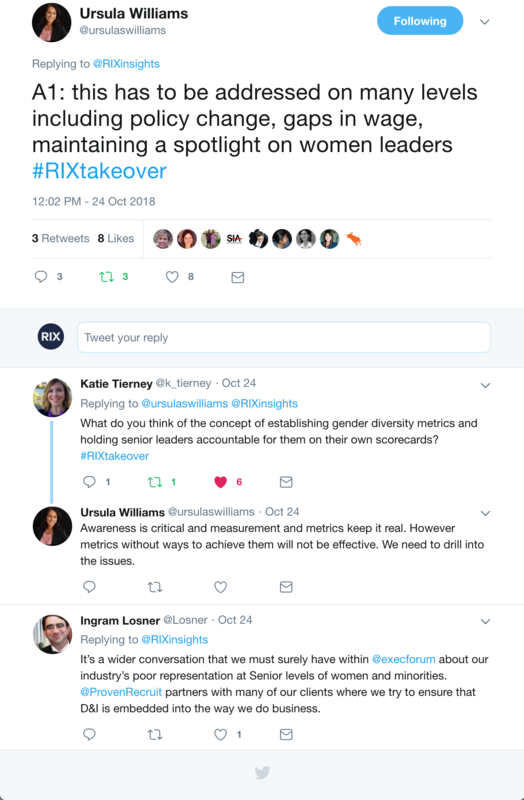 And while there are many steps we can take as individuals to inspire meaningful change, the first step to overcoming gender equality in the workplace is talking about it, and the #RIXtakeover aimed to do just that. 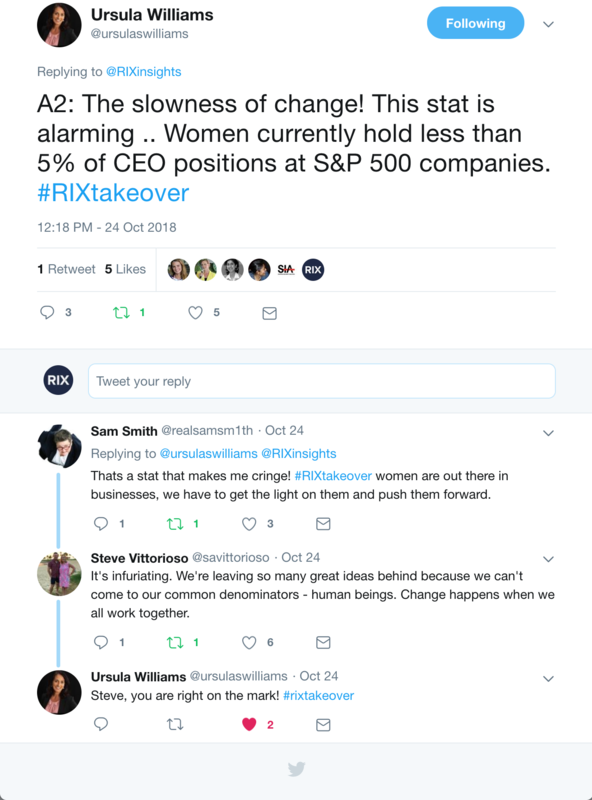 Thank you again to Sam Smith, Ursula Williams, Kelly Services, Staffing Industry Analysts and everyone else who participated in this powerful conversation.